John Ignatius Armstrong was born at Ultimo, Sydney, on 6 July 1908, the seventh son of William Armstrong, Irish hotelkeeper, and his wife Ellen, née Hannan. He was born upstairs at his family’s pub, The Butcher’s Arms (now the Dunkirk). On 25 October 1945 at the Church of the Holy Family, Lindfield, Sydney, he married Joan Therese Josephine Curran. Armstrong died on 10 March 1977 at Bateman’s Bay, NSW, survived by his wife, son and four daughters. He was granted a State funeral and buried in the Northern Suburbs Cemetery at Sydney. He was a Roman Catholic. John Ignatius Armstrong was educated at St Bede’s School, Pyrmont, and the Marist Brothers’ High School, Darlinghurst. He worked in his family’s hotel, the Butcher’s Arms (later the Dunkirk), and became prominent in the hotel business in Sydney. He was involved in the Labour movement and was president of the Pyrmont Branch of the ALP and the West Sydney Federal Electoral Council. He was the leader of the shareholders’ committee of the Greater Union Theatres Ltd in the 1930s, later becoming chairman of Metropolitan Theatres & Investment Co Ltd. He was also a Director of Amalgamated Pictures Ltd and other companies. He was a member of the Commonwealth Rationing Committee in 1942 and the National Film Board in 1945. He was a right wing Catholic with strong anti-communist views. The Whitlam Government appointed him Australian High Commissioner in the United Kingdom and he spent the years from 1973 to 1975 in London. Known as the ‘Golden Barman’, Armstrong was recognised for his charitable work. He was an avid art collector and a patron of Australian artists in England during his term as High Commissioner. The ceiling of his Collaroy home was painted by the artist John Olsen. 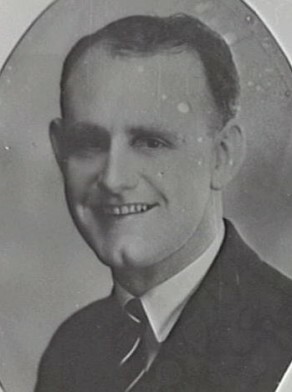 John Armstrong served in the Australian Parliament as a Senator for NSW from 1938 to 1962. He was the youngest person then elected to the Australian Senate. He was Minister for Munitions 1946-48, for Supply and Development from 1948-49, and Minister in Charge of the Royal Visit in 1948. He was Deputy Leader of the Opposition in the Senate from 1951 to 1956. Armstrong was made a Companion in the General Division of Order of Australia in 1977. John Armstrong was encouraged to enter politics by Elizabeth Healey, a ‘famous Pyrmont Labor identity. When he joined council in 1934, he was only 25. Armstrong was Alderman for Philip Ward, 3 December 1934 to 31 December 1948 and again from 4 December 1965 until 13 November 1967 when the council was placed under the control of a City Commission. He was a member of the Finance Committee, 1935, the Health and By-Laws Committee, 1935, 1937-38, the Works Committee, 1936-48, the Electricity Committee, 1936, the Health and Recreation Committee, 1939-48 and the National Emergency Services Special Committee, 1940-45. Armstrong was Lord Mayor from 1965 to1967. He was elected Councillor of the Sydney County Council in 1948 and became its Chairman in 1963-65. Edmund Campion, ‘Armstrong, John Ignatius (1908–1977)’, Australian Dictionary of Biography, National Centre of Biography, Australian National University, http://adb.anu.edu.au/biography/armstrong-john-ignatius-9384/text16487, accessed 31 January 2013. Matthews, Michael R 1982, Pyrmont & Ultimo history, Pyrmont Ultimo History Project, Ultimo, NSW, pp. 69-97.